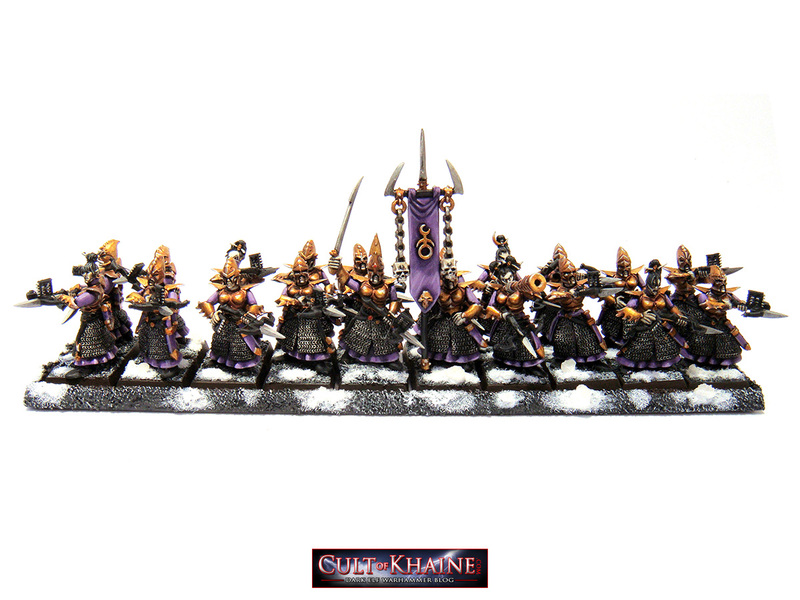 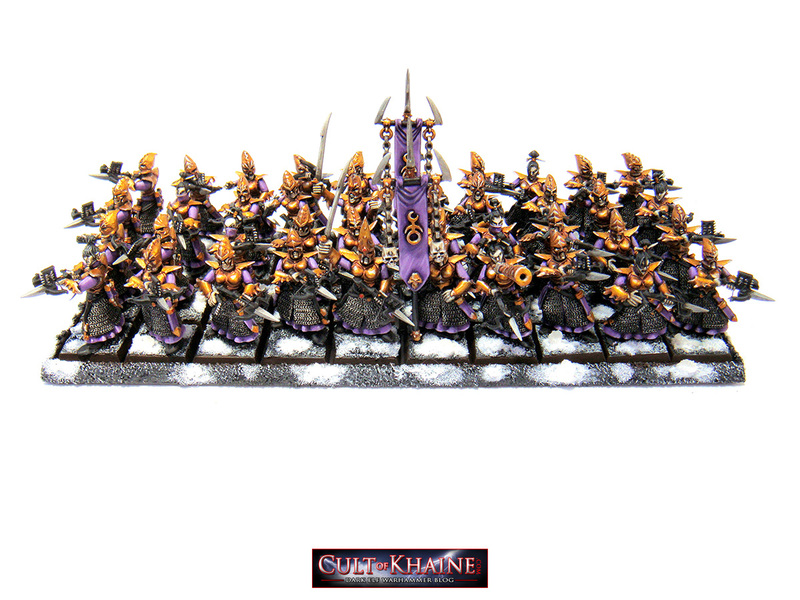 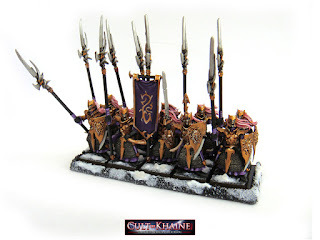 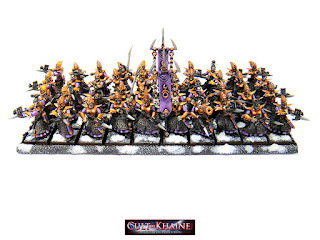 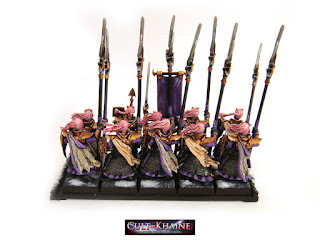 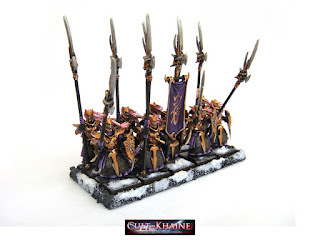 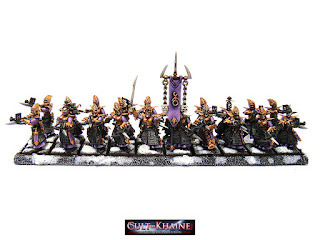 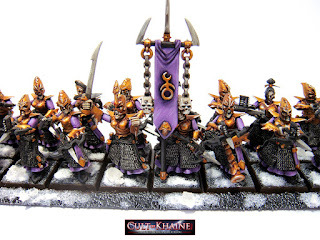 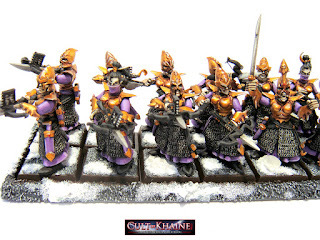 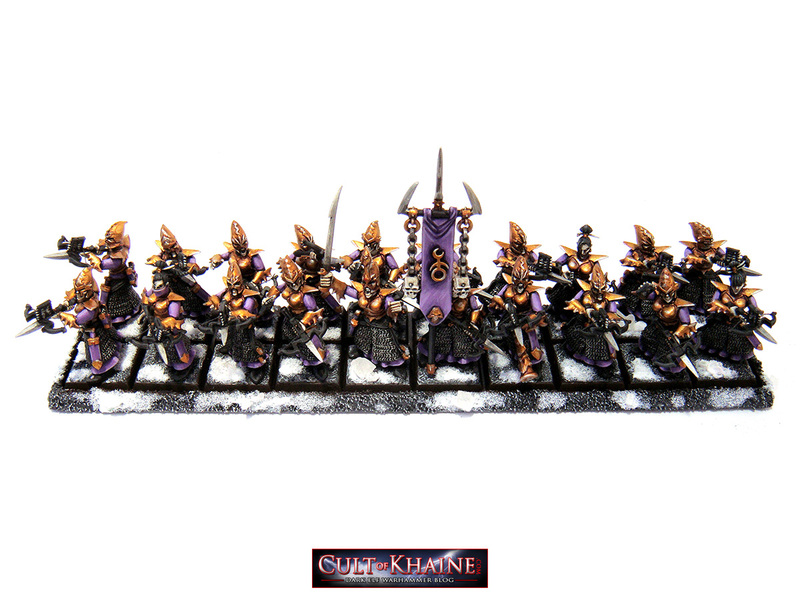 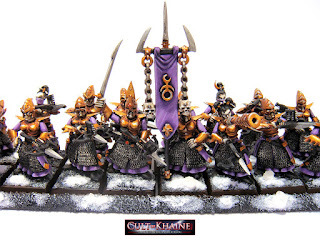 Malekith has his Black Guard so why can't Morathi have a personal guard as well! 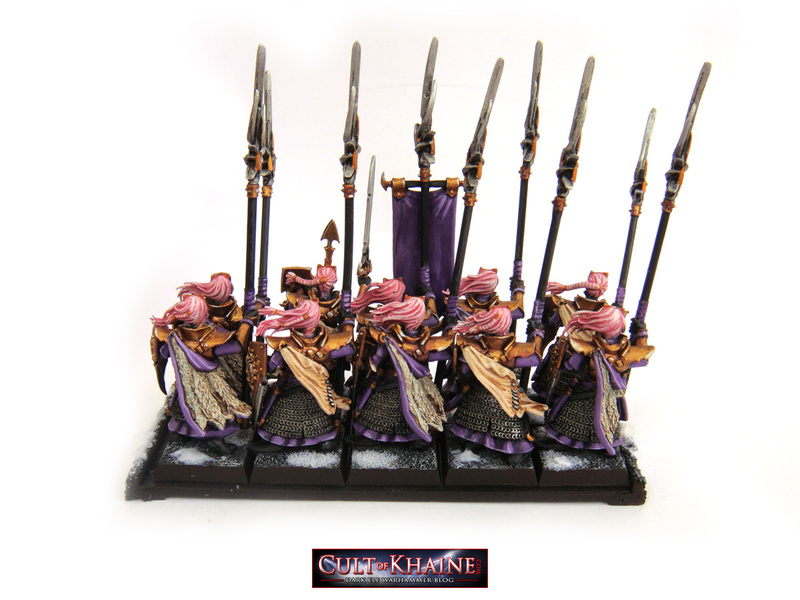 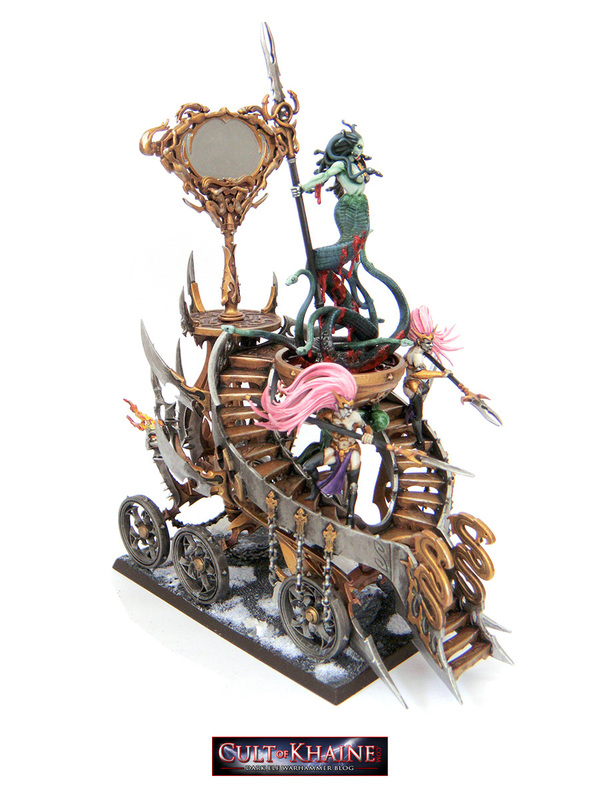 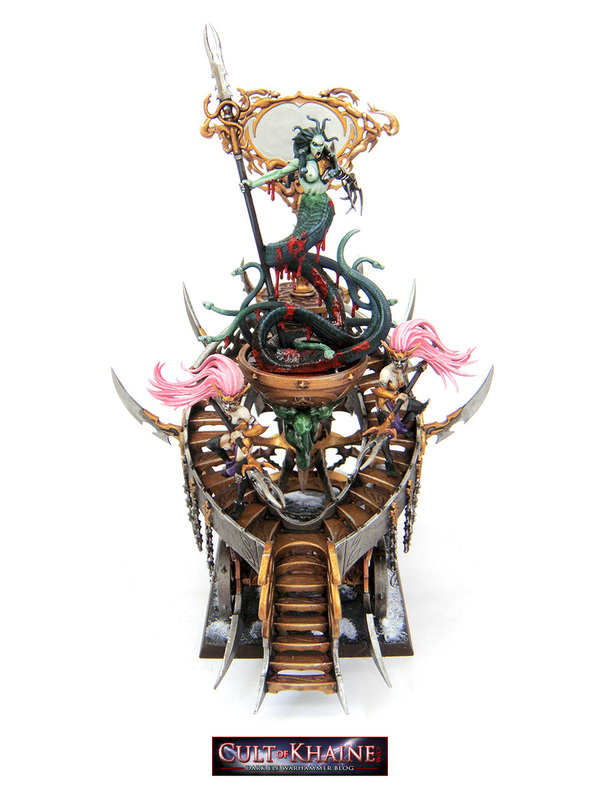 Here is a conversion of her personal guard the Gorgon Guard - loyal subjects to Morathi and the Cult of Pleasure. 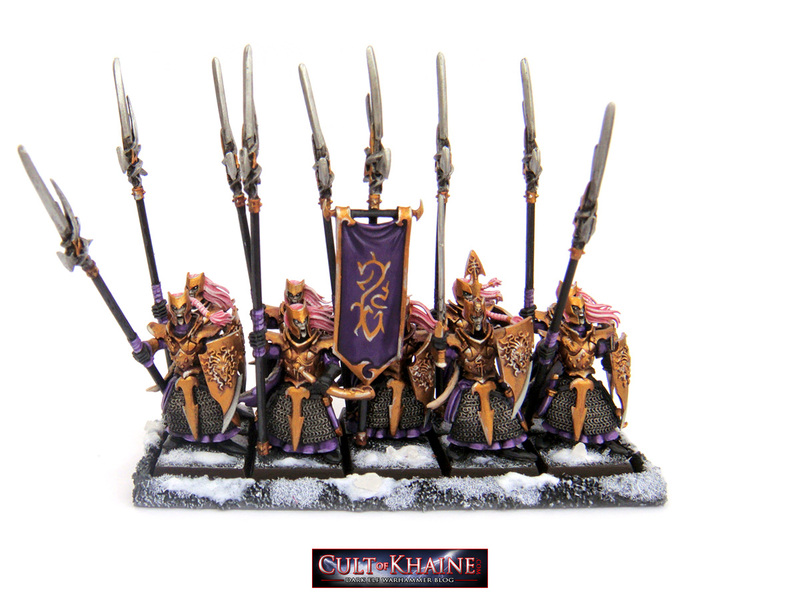 They wield large halberds and have heavy golden armour adorned with fine cloaks of winter wolves fur or the skins of their first love. 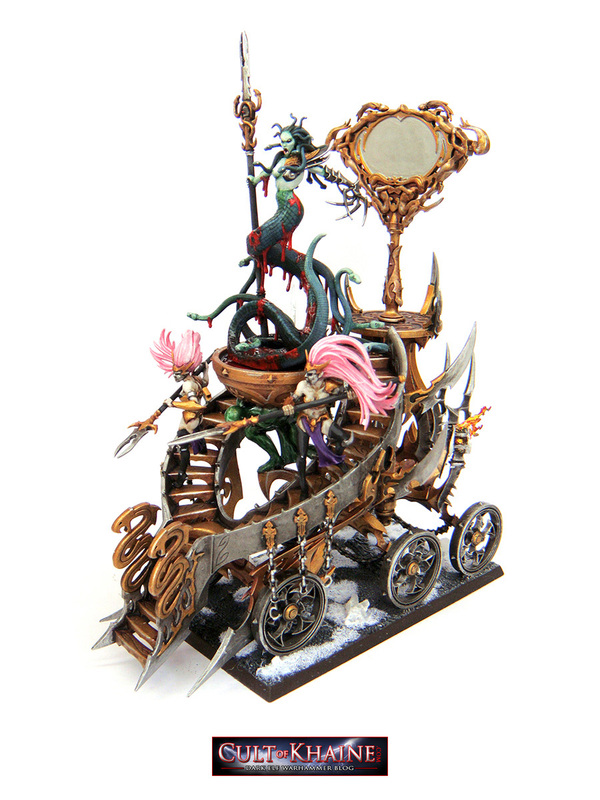 This was a pain in the #%$@ to paint assembled but a joy to see it complete! 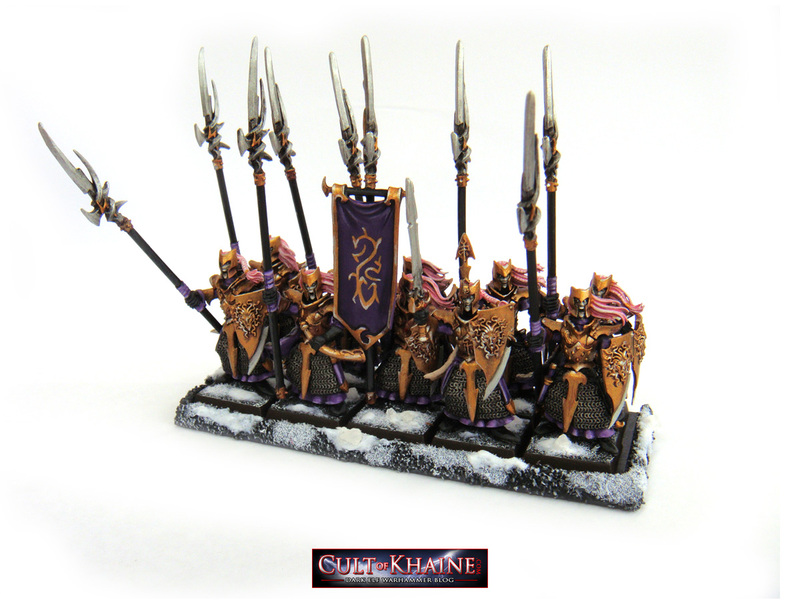 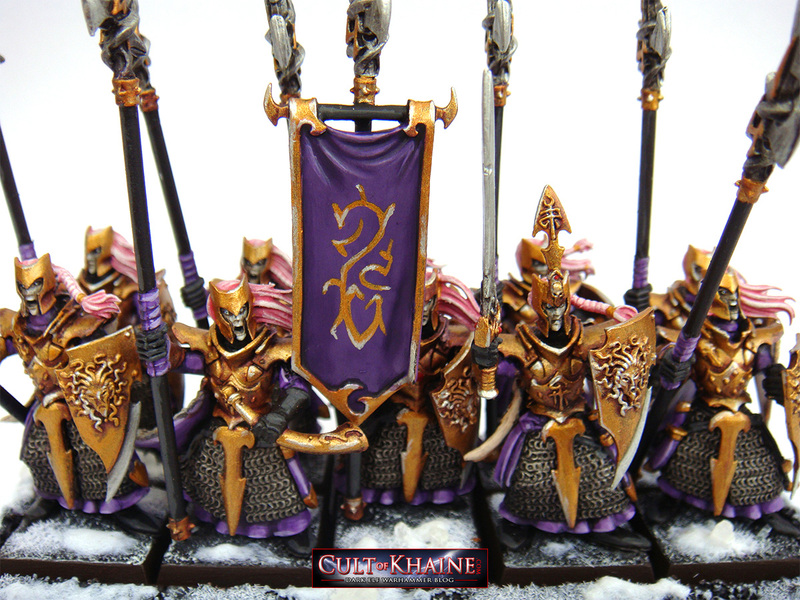 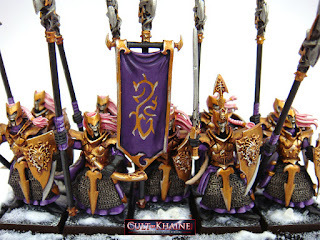 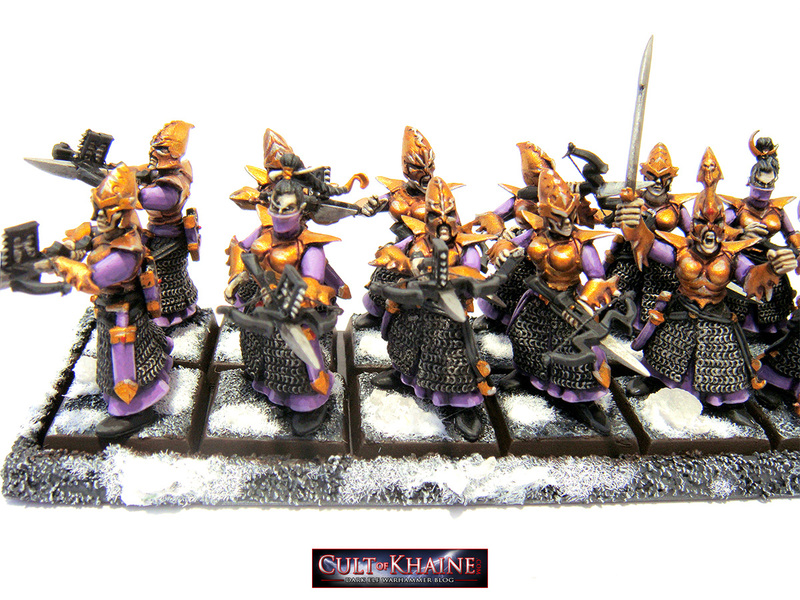 I really wanted to continue the Slaanesh colour scheme with lots of highly polished silver and gold. The hair colour of the two attendants finishes the piece well.